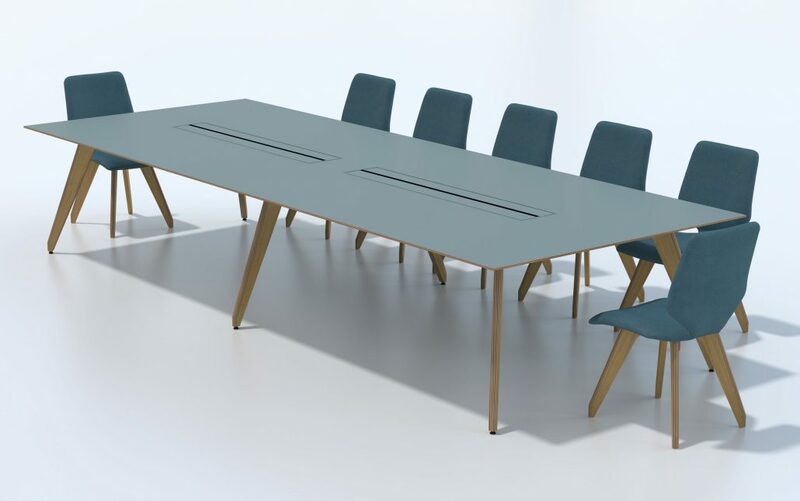 The Ligni boardroom table range is the perfect congregation of Scandinavian chic and functionality. 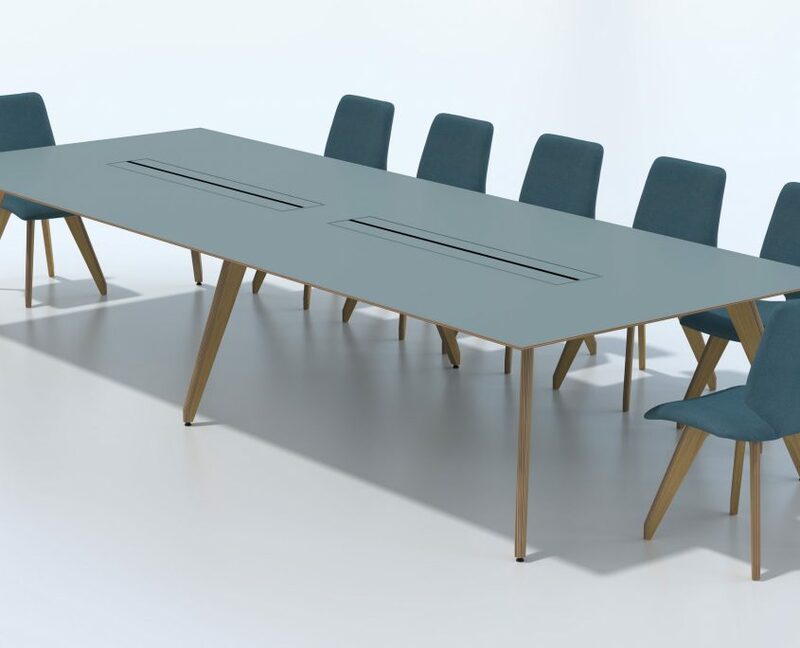 Combining clean elegant lines with great practicality all the elements are linked by the design feature of distinctive radiused ply legs that come in a wide choice of wood veneers and laminates. 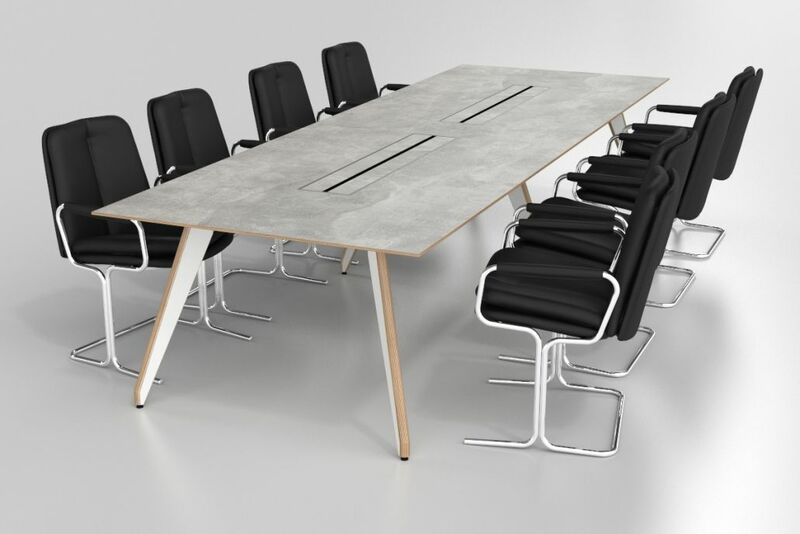 Wood legged boardroom tables are increasingly becoming the pinnacle of most meeting rooms. 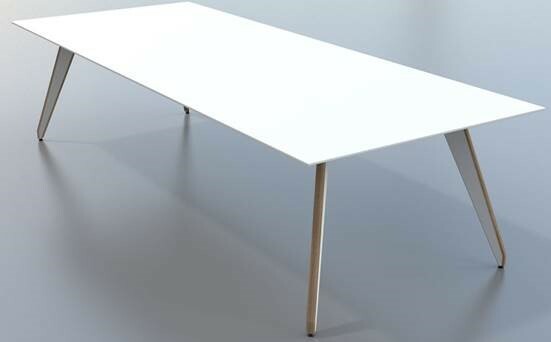 The extensive use of birch ply in Ligni not only creates distinctive and immensely strong furniture, but is also an environmentally friendly choice. 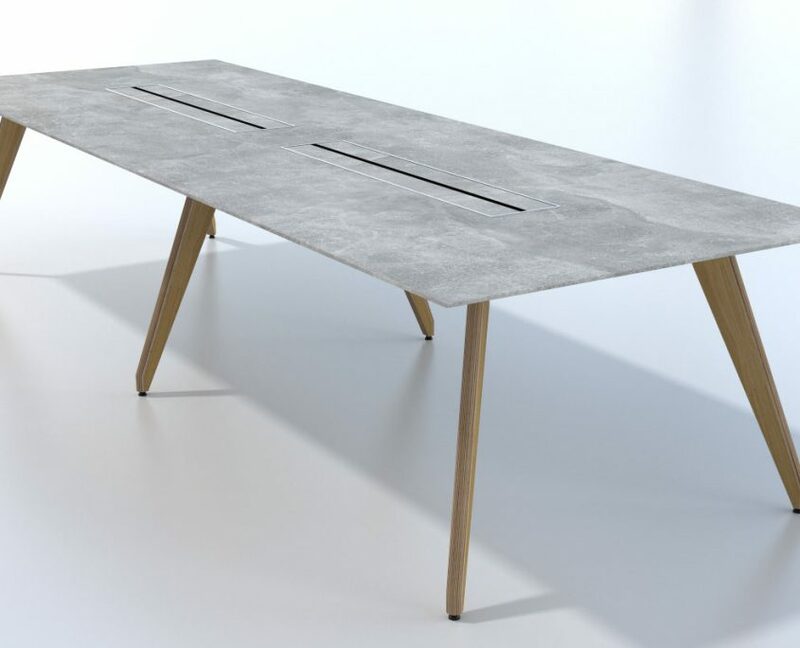 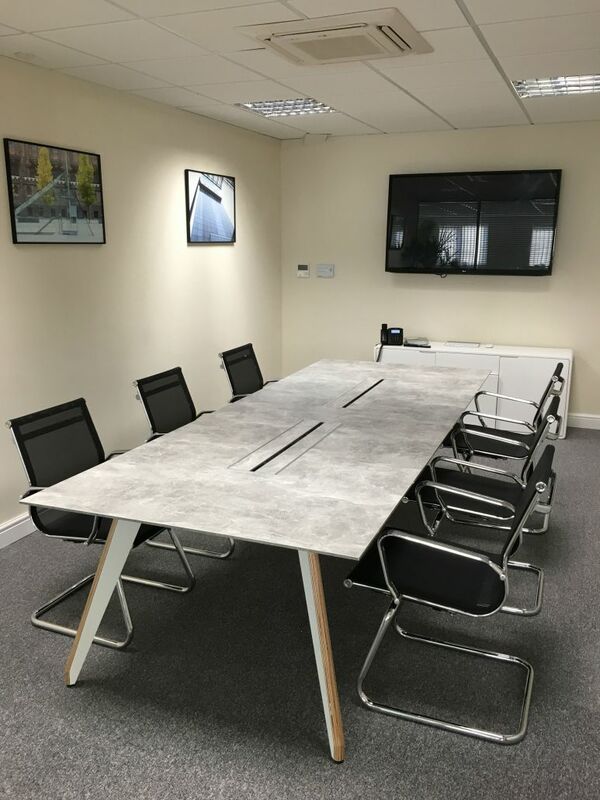 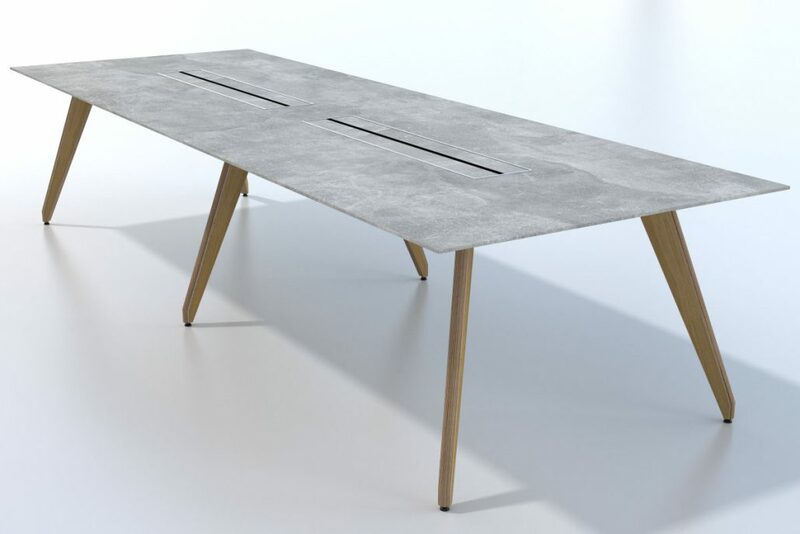 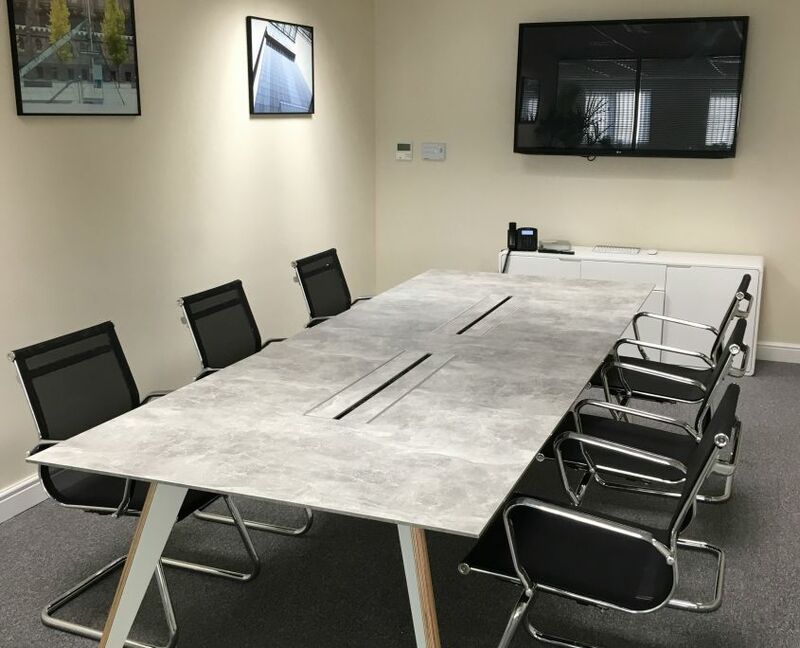 The Ligni boardroom table is available with a choice of MFC or Veneer table tops, however this boardroom table can also be purchased in a concrete effect top perfect for those wishing to create an industrial look. 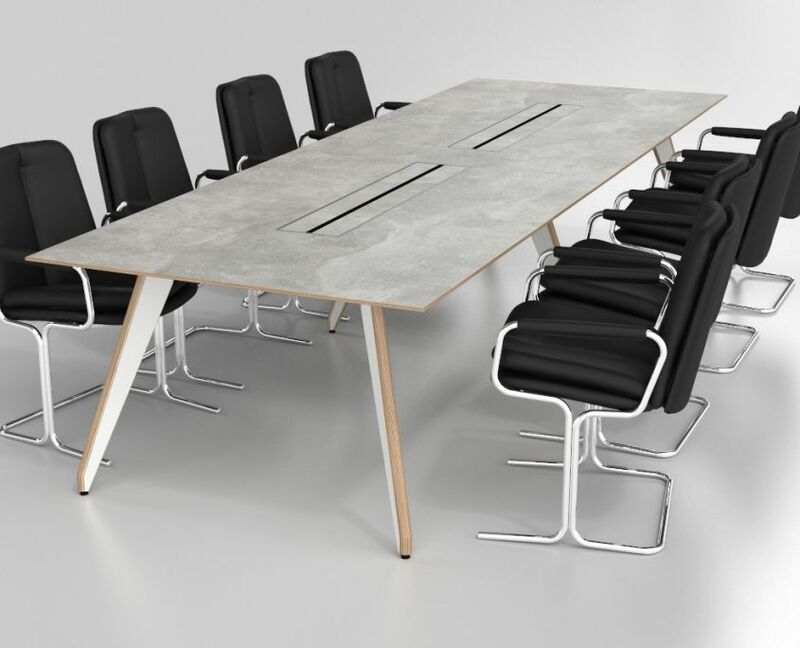 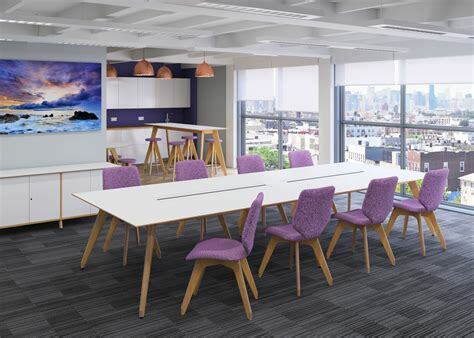 Comprehensive cable management and additional plug sockets are available options, making this boardroom table practical for the modern office environment.